In another from the classic series of “Lone Wolf” films, the debonair Michael Lanyard, aka The Lone Wolf (Warren William, Gold Diggers of 1933, Lady for a Day), puts his larcenous detective skills in action to assist beautiful Joan Bradley (Jean Muir, The Constant Nymph) when she is accused of a murder she didn’t commit. 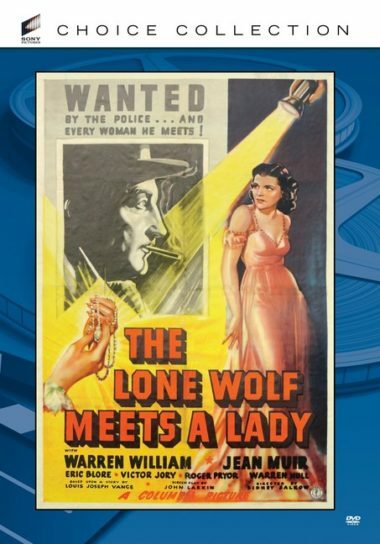 Aided by his trusty valet (and comic sidekick) Jamison (Eric Blore, Swing Time), the Lone Wolf is sure to put everything right. Directed by Sidney Salkow (The Quick Gun) and featuring Roger Pryor, Victor Jory, Warren Hull and Thurston Hall. Newly remastered.